Opening night. It's when things get serious for a band. No longer are they practising in small rooms with just their road crew for company. Time has run out for song endings to be rehearsed repeatedly in the search for perfection. The paying audience won't accept any group coming on stage under-prepared; they want to see the best show they've ever been to, period. 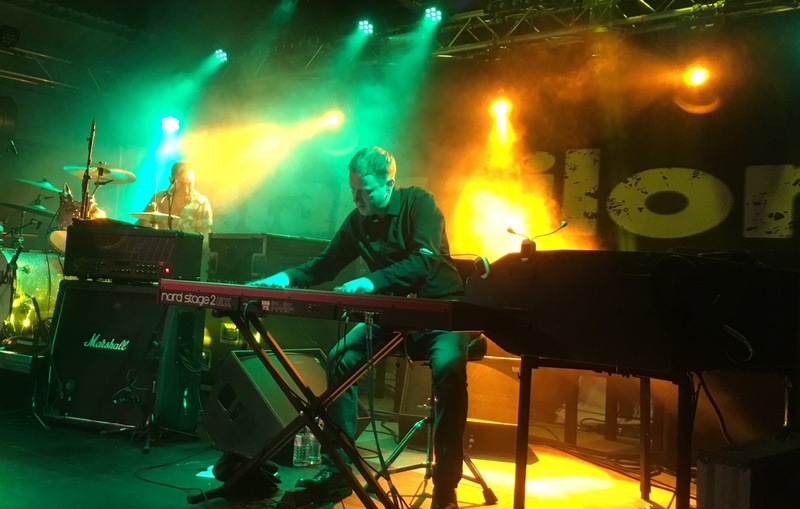 Yet, even after 15 or so years of playing together, and shows ranging from festival headline slots to the Letterman TV show in America, first night nerves aren't far away in the Starsailor dressing room. “I'd be lying if I said I didn't get them,” says drummer Ben Byrne. “Only a little, mind, but I don't think you'd be human if you didn't. But there was plenty more at stake inside Leamington Spa's Assembly Rooms, a venue both pleasing on the eye and full of history, come 9pm on Sunday. 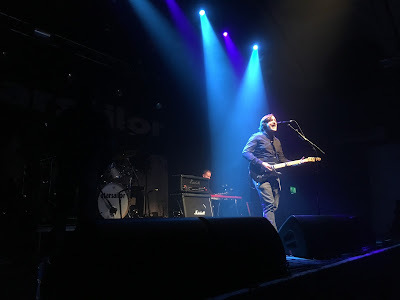 Yes, Starsailor played the crowd-pleasing hits ("Alcoholic", "Silence Is Easy", "Tell Me It's Not Over" and, of course, "Good Souls", to name just a few), but also featured in the 16-song set were the first-ever performances two new tracks. It is the season of goodwill, after all. “Blood”, with its slow build-up, falsetto chorus and melodic guitar solo to end, wouldn't have been out of place on the Silence Is Easy album. “Never looked so good and you didn't break a sweat, with a cruel ambition that caught me dead,” sings James Walsh in the opening verse, although by that point in the show his forehead was dripping, owing to the ever-lively front-man work he'd undertaken. Then, played three songs before the end of the main set, “Best Of You” features a fine drum and bass backbone and several lines that will be shouted out by concert crowds in years to come. Word is, the other tracks lined up for the band's next album are even better. Sounds promising, right? Regardless, this is one of the biggest reasons why Starsailor are such a joy to watch. Too many groups these days refuse to debut new material on the road, fearing the bootleggers or a mass exodus to the bar (possibly even both), but this band have balls and form in this area, too. "In My Blood", with that instantly memorable guitar and bass riff, was a stand out during their 2004 festival shows, over a year before it appeared on the band's third album. "Tell Me It's Not Over" was perfected on the road in South America, while the 2015 American Tour reiterated that the band's chemistry and sound, not to mention James Walsh's knack of writing a killer line or two, was as good as ever when new song "Give Up The Ghost" got an airing at every show. “I've been looking forward to playing the new songs, and we plan to throw a couple into the set each night,” added Byrne. “It's good to get them out there, as we all want to see how the fans respond. Headlining their first UK Tour since 2015's triumphant Greatest Hits shows, fans in the likes of London, Sheffield, Nottingham and Edinburgh are in for a real treat over the next two weeks, if night one is anything to go by. 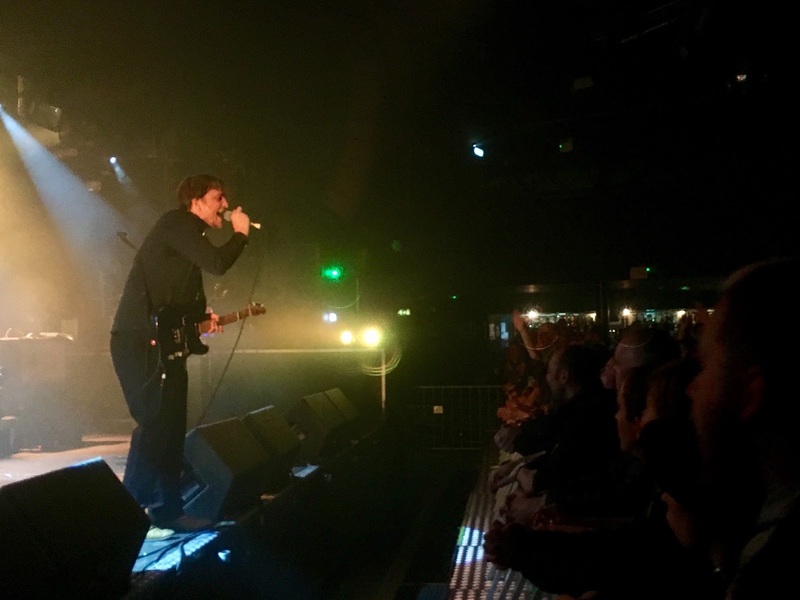 The tempos were quick, the music was flawless, the set-list pacing was spot on and lead singer James's voice whirled around the venue throughout. A minor problem when his guitar went quiet during “Poor Misguided Fool” was quickly fixed, and the big crowd inside the venue went home happy. Walsh's on-stage banter continues to get even sharper, too. As he tuned his guitar between “Alcoholic” and “Fidelity”, barely 20 minutes into the show, he remembered he was in front of a crowd. Then, as the predictable cheers went up from the audience, he quickly added: “This is our last song, good night!”. Cue laughter all round, and a fist bump from bassist Stel. A reminder that, if this is night one, those fans going to shows over the next two weeks are in for a real treat. Starsailor announce a ten date UK tour in December kicking off on 11th December in Leamington Spa and finishing in Aberdeen on 23rd December. 'We can't wait to get out on tour again in December. We've been busy working on some new tunes & we can't wait to road-test a couple of them for the fans along with the old favourites. Will be great to play some venues we haven't played before too' - James Walsh. Starsailor’s initial run of success saw both their ‘Love is Here’ debut album and the 2003 follow-up ‘Silence is Easy’ hit #2 on the charts as they raced to a total of 3 million sales. After a five-year hiatus, the band reformed in 2014, enjoying triumphant festival performances at the Isle of Wight Festival and V Festival, plus special guest to James on their UK tour. 2015 saw them tour in China, Korea, and a co-headline tour of the US and Canada with Embrace. Their return was swiftly followed by the release of their biggest hits through ‘Good Souls: The Greatest Hits’ (released in September 2015 on Parlophone). The album was accompanied by the band’s first headline UK and European tour since 2009. The album kicked off with the band’s three biggest hits in the shape of ‘Good Souls’ (#12), ‘Silence is Easy’ (#9) and ‘Alcoholic’ (#10). In addition to those tracks, the album featured a further seven Top 40 hits, as well as two brand new tracks ‘Give Up The Ghost’ and ‘Hold On’. and were clearly in love with rock 'n' roll and all its possibilities." James Walsh (vocals/guitar,) James Stelfox (bass), Ben Byrne (drums) and Barry Westhead (keyboards), Starsailor shot to prominence in 2001 with the release of their debut single ‘Fever’. After an early NME live review drew glowing comparisons with Neil Young, The Verve and Coldplay, their 2001 debut album reached #2 shortly before they won the Philip Hall On award for best new band at the NME Awards and Best New Act at the Q Awards. The following year they were nominated for Best British Newcomer at the BRIT Awards. Released in 2003, their second album ‘Silence is Easy’ featured two songs that were among the last to be produced by Phil Spector and also peaked at #2, with the title track becoming their highest charting domestic single when it entered the charts at #9. The Thin White Duke remix of ‘Four To The Floor’ (featured here as a bonus track) topped the charts in both France and Belgium, and also hit #5 in Australia. They then released ‘On The Outside’ (2005) and ‘All The Plans’ (2009) which featured Ronnie Wood before Starsailor went on hiatus at the end of the year. 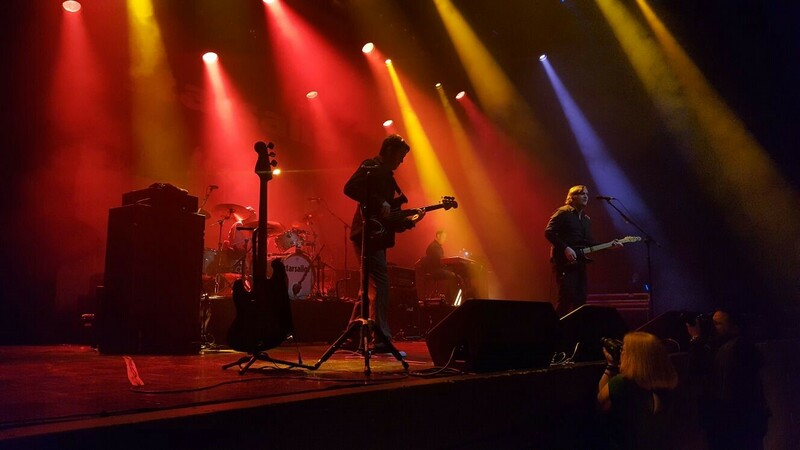 The band have enjoyed more than their fair share of prestigious gigs, supporting the likes of The Rolling Stones, The Police, The Killers, and U2, and have toured all over the world.